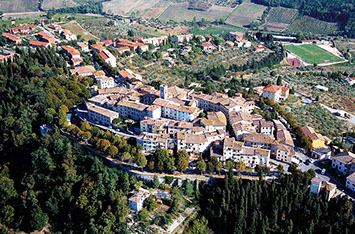 · Less than a km away is Lajatico, a small village that dominates the closing of the valley Val D'Era and the opening of the valley Val di Cecina. 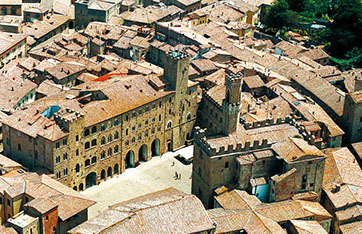 Lajatico and Orciano are two centers of great artistic and architectural interest. Castles, Churches, Villages, the Rock of Pietracassia and Villa Spedaletto call to mind the Middle Ages. Here lies the Theatre of Silence, an amphitheatre created taking advantage of the natural shape of a hill. The theatre was built for the desire of the popular singer Andrea Bocelli, a native of this village. Orciatico is famous for the presence of two windmills built at the end of the seventeenth century and still in good condition. · At about 24 km away is Volterra (Etruscan name Velathri) of Etruscan origin. Today it is a typical medieval town. With its beautiful historic centre where you can visit the Piazza dei Priori, the gates, the water sources, the Medici Fortress, the Tower Houses, Renaissance Palaces, the Cathedral and other churches. An important historical and cultural site. Volterra has several museums; the Etruscan Museum, Art Gallery and Municipal Museum, Alabaster Ecomuseum, the Museum of Sacred Art, the Library Guarnacci, Historical Archives, the Municipal Library, the Hall of the Board and Council, the palace Incontri - Viti, and other museums in Volterra. There are numerous archaeological sites: the Roman Theatre, the Acropolis, the Necropolis, the Baths Guarnacciane. 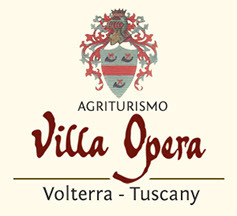 The famous Volterrano craftmanship (www.alabastroinvolterra.it) is characterized by processing Alabaster, and in particular extracted from the subsoil of Castellina Marittima. This alabaster was formed in the Miocene period following a process of sedimentation and concentration of calcium sulphate content in marine waters (www.comune.volterra.pi.it - www.volterratur.it). 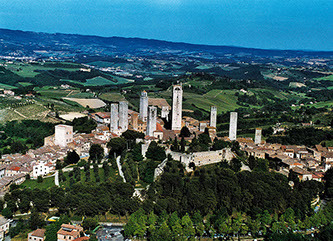 · At about 36 km we find San Gimignano. This beautiful village is famous for its towers, its narrow streets and beautiful buildings. Noteworthy are also the frescoes of the church of Sant 'Agostino and the collegiate church of Santa Maria, as well as the museum inside the Palace of the People. · At about 47 km we find Pisa. The city lies on the banks of the river Arno, just before the estuary of the river in Marina di Pisa. And it is one of the most important cities of Tuscany and among the most famous in the world, thanks to its universally famous symbol: the Tower of Pisa. · At about 80 km there is Florence. 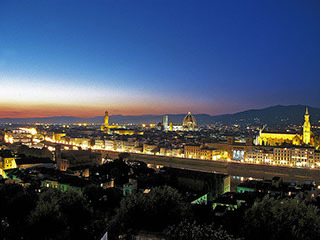 Florence is the capital of the Tuscany Region. Founded by the Romans in the first century BC. It is a major city with its industries and crafts, trade and culture, art and science. Florence contains an exceptional artistic patrimony, Cimabue and Giotto, the fathers of Italian painting, geniuses Leonardo da Vinci and Michelangelo, Boccaccio, Dante. And it is easily accessible from most important places both in Italy and abroad, thanks to the motorway, airport and train station. The Chianti area, between Florence and Siena, is one of the most beautiful countrysides in all of Italy and famous for the production of wine! · At about 76 km we find Siena, surrounded by olive trees and vineyards of Chianti. 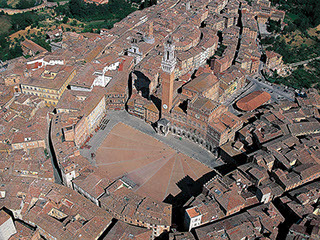 Siena is one of the most beautiful cities of Tuscany. Built on three hills, the city is crossed by wide avenues and narrow alleys that lead to the heart of the city with its Piazza del Campo and all other cultural landmarks such as the Duomo and the Hospital of Santa Maria della Scala. Famous for the Palio, the historic horse race, which is held every year on 2 July and 16 August. It is also home to one of the oldest universities in Europe. In addition to daily life that animates the streets and squares, Siena offers many cultural events, concerts, cinema, theater and a wide range of sporting activities. Few geographical areas in the world can match an environment like that found around Siena. To the north, one can appreciate the richness of the Chianti landscape. With its vineyards and its olive groves and small towns that are located in this area, such as San Gimignano and Monteriggioni with old walls, the winding streets and the incredible views. 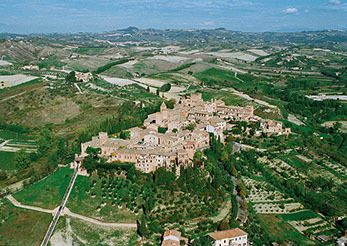 South of Siena, the valley leads to the hill town of Montalcino, home to the famous Brunello wine. Also the area La Crete offers visitors the spectacle of a unique landscape, with its rugged rock formations. Going west you get closer to the sea, the coastal towns, such as Castiglione della Pescaia, and nature reserve of the Maremma, with its natural and artistic beauty. Siena is easily accessible by car. · At about 55 km we find Livorno. A traditional seaside town, designed by Bernardo Buontalenti on the model of the sixteenth century "ideal city". Livorno is in many ways a small Venice. A city inseparably linked to water, as well evidenced by the Medici canals and to maritime activities. Livorno is also a city of art, rich in monuments and historic buildings: seventeenth-century churches and Art Nouveau villas, medieval fortresses (Old Fortress and New Fortress) and castles of antique charm (Castello del Boccale, Castello Sonnino a Quercianella e Castello del Romito). The best way to appreciate the charm of Livorno is a boat trip through the Medici canals, to discover of the picturesque areas of Venice Old and New Venice. These were once the heart of the trade and commerce and today home to many citizens restaurants and clubs built inside the warehouse storage of goods. The same neighborhoods that every summer, between July and August, are home to the largest city event: Venice Effect. · At about 27 km you can find Pontedera. with the nearest train station. Pontedera hosts the Piaggio Museum, the largest museum dedicated to the Vespa. 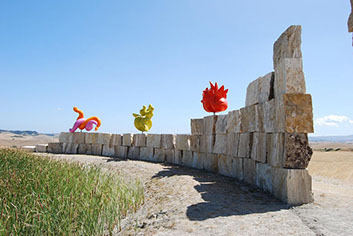 The city center and the roundabouts are animated by numerous and original works of contemporary art, some temporary and most permanent. Created by world-renowned artists, such as Pomodoro, Enrico Baj, centers for contemporary art, art center Otello Cirri, Centrum 7Sois 7Luas, Art Gallery Il germoglio and Futuramente-art center for future generations. For more Information and Tourist Information Office, Via della Stazione Vecchia, 6 56025 Pontedera ( ufficioturistico@comune.pontedera.pi.it ). 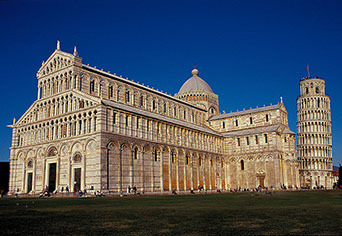 Visiting the surroundings of Pisa you are immersed in a landscape of the past. In which harmony and tranquility reign and where lie the small villages, custodians of history, art and culture. · Vicopisano is a fortified village that has a remarkable medieval heritage among which twelve towers, two medieval palaces and the fortress of Brunelleschi. This is open to the public with guided tours. From Vicopisano parts a path of churches and parishes of the area: the Church of Santa Maria, the Church of St. James in Lupeta, the Pieve di Santa Giulia in Caprona, the Parish Church of St. John in San Giovanni alla Vena, until the Romanesque church of San Martino al Bagno Antico, within the Baths of Uliveto. Between Pisa and Vicopisano, there is the impressive view of the Tower of Caprona, precariously balancing above the quarry underneath. The tower is all that remains of an ancient castle that has linked the name of Dante Alighieri, who in August 1289 took part in the battle for possession of Caprona. The fact is that he mentioned this in the twenty-first canto of the Divine Comedy. · Calci boasts two sites of tourist importance: the Certosa Monumental and the Museum of Natural History and Territory of the University of Pisa. It is housed in a wing of the complex, where there are important mineralogical, palaeontological and zoological collections. The Carthusian Monastery, founded in the fifteenth century thanks to the legacy of an Armenian merchant, is a Baroque style monument. It consists of a large courtyard and a series of buildings surrounding with the cells, orchards and areas suitable to the rule of the Carthusian life. Inhabited by the Carthusian monks until the seventies, it is now open to visitors. · Buti is a town that deserves attention because of the Villa Medici and Castel Tonini that overlooks the town. Also because of the churches of San Francisco and the Ascension, also known as St. Mary of the Snows. Buti has been the theatre in the past of fierce battles between the Tuscan cities. Completing the picture of the Monti Pisani there is the ancient fortified village of Cascina, with thirteenth century walls partly preserved and the typical village of Filettole in Vecchiano and San Giuliano Terme. The latter is not only a great place for a spa holiday, but it is a starting point for tours of great historical and architectural interest for the Fortress of Ripafratta, the Romanesque churches of Rigoli and Pugnano and the Hermitage Rupecava. The area of the Valdarno presents a landscape where the typical Tuscan hills on the outskirts of San Miniato, covered with olive groves and dotted with medieval towns and villages, are in contrast with the valley floor which is characterized by a productive and lively commercial. The area, rich in tradition and history, preserves the traces of the Via Francigena, an ancient pilgrimage route in part still well preserved. · Bientina, village of craftsman who, despite having lost its ancient medieval look, offers the visitor interesting sites. Such as the Church of Santa Maria Assunta, which houses the remains of St. Valentine, the Museum of Sacred Art, the Etruscan Museum and the Church of St. Girolamo. · Calcinaia, is located in the center of the plain of the Arno Valley, whose name refers to the numerous lime kilns active until the sixties for the processing of ceramics. Characteristic, in May, is the Historical Regatta on the River Arno, in honor of the patron Saint Ubaldesca Taccini. · Castelfranco di Sotto, located at the foothills of Cerbaie, preserves the urban structure of the Roman period, with two main roads that cross the four gates leading to the Bell Tower, the only remains of medieval times. Among the points of interest include the Town Hall and the Collegiate Church. 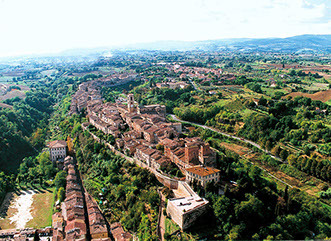 · Montopoli in Val d’Arno in Val d'Arno was defined by Boccaccio castle, famous for its mighty fortifications. Symbols of a past, in which the city is going back during the Disfida dell'arco on the second Sunday in September, have remained like the Arch and the Tower of Castruccio. · Santa Maria a Monte: the houses and palaces all overlook the road that follows a spiral path. Walking through the streets one can find traces of the defensive medieval arches, tower-houses, the clock tower, the palace of the mayor and the Collegiate Church, which preserves valuable works of art. Here is also the Museum "Casa Carducci", home to the family of the famous poet Joshua. The landscape of the Pisan Hills and the Valdera is characterized by rolling hills separated by small rivers which join the river Era. · Here, where nature and human hands have come together for the preservation of a unique landscape, lies the village of Lari, City of cherries and orange flag of the Touring Club. Lari keeps untouched the medieval urban structure, preserving the picturesque houses, narrow alleys and the imposing Castello dei Vicari, accessed by a stone staircase that offers great views of the surrounding hills, rich in vineyards, olive groves and fruit trees. · Not far away emerges Peccioli, which stands out on the hills with its distinctive bell tower of the church of San Verano, the architect Bellincioni, which preserves valuable works in the Pisan school. The village awarded with the orange flag, combines in an original way the ancient and the modern, offering sites of interest such as the Praetorian Palace and the Museum of Russian Icons, dedicated to Francesco Bigazzi, Moscow correspondent, who donated to the municipality his collection of icons from the nineteenth and early twentieth century. · In rural villages as Terricciola (wine town), Chianni and Palaia you breathe the atmosphere and rhythms of the past and you can visit places of interest. The village of Etruscan origins of Palaia, in particular, is the starting point for excursions with scenery of great beauty, as the road through the villages of Colleoli and Villa Saletta. There recently was filmed the movie Napoleon and Me by Paolo Virzi. Toiano is an uninhabited village among rolling hills and steep gullies of sand. To be seen there is the Parish Church of San Martino, home to the International Festival of Choirs that takes place in the summer. · Lorenzana, former village and castle in medieval times, is ideal for those who would rather enjoy the view of the entire profile of the Pisan Hills. · Moving in the southern part of the province of Pisa, we meet the Val di Cecina, and its unique landscape. Walking through the streets and ancient tracks that run through this vast territory we find ourselves faced with a scenario that changes constantly: the bare slopes of the hills and gullies, the vast wooded areas to the cliffs of Volterra and the scenic countryside of geothermal area. · And it is the beauty and tranquility of the countryside villages that unites villages like Guardistallo, land of a thousand cribs, Montescudaio and Casale Maritime. In the area of the latter village recent archaeological excavations have unearthed the remains of an Etruscan village of the seventh century BC. In addition to the necropolis of Casa Nocera, a complex of tombs of Etruscan warrior princes, that was found earlier. · We recommend a visit to the village still intact Montecatini Val di Cecina, where stands the Tower Belforti. And also to visit Pomarance, where you can appreciate the Rocca Sillana and elegant buildings as Casa Bicocchi and Palazzo Ricci. · Castelnuovo Val di Cecina is a hill town easily recognizable by the characteristic shape of a bunch of grapes. The municipality has a morphology varied, ranging from the Apennines to the Mediterranean and then again hills with vineyards and olive groves. 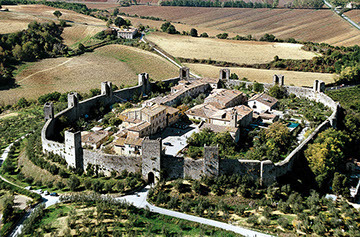 · In the territory of this council can be found the fortified village of Montecastelli. As well as the Buca delle Fate, an Etruscan tomb of the sixth century BC, and the remains of copper mines, inactive since 1941. Around the ancient village of Sasso Pisano natural geothermal phenomena are evident like the "putizze" and "fumaroles", giving the landscape a mysterious and infernal aspect, with vapors coming out of the ground filling the air with an acrid smell of sulfur. 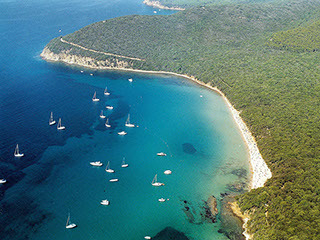 Tuscany has a long stretch of coast, enriched by many tourist destinations. Most beautiful in Tuscany is the Versilia coastline to the north in the province of Lucca. Including the best places that the coast in Tuscany can offer. 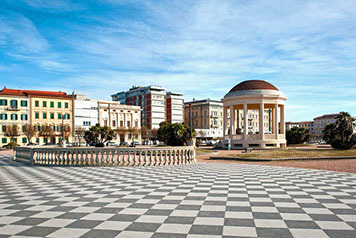 We speak of Pietrasanta, Forte dei Marmi, Lido di Camaiore and Viareggio. Another important stretch is part of the provinces of Pisa and Livorno. The most famous are Viareggio, Marina di Pisa, Tirrenia and Livorno itself. The beaches are mostly sandy and allow you to see, like in all seaside towns of Tuscany, the picturesque sunset over the water. Further south to meet the town of Piombino, Populonia, followed by Punta Ala and Castiglione. Approaching towards Lazio we enter the other maritime paradise, that is the Argentario area. Finally, one should not overlook the islands out the Tuscan coast. The largest is the Isle of Elba, natural treasure. Further south, with smaller dimensions, one will find the island of Giglio and Giannutri. Province of Pisa : Marina di Pisa, Tirrenia. Province of Livorno: Quercianella , Castiglioncello , Rosignano Solvay , Vada, Marina di Cecina, Marina di Bibbona, Marina di Castagneto, San Vincenzo, Baratti, Populonia, Torre mozza , Piombino. Province of Lucca: Forte dei Marmi, Marina di Pietrasanta, Lido di Camaiore, Viareggio. Tuscan archipelago: Isola Capraia, Isola D’Elba. The territory of Pisa is rich of thermal water springs. Since ancient times because of their healing properties they have given rise to many spas. The spas are not only frequented for therapeutic purposes, but also for beauty treatments, for the pursuit of physical fitness and to find wellness and tranquility. On the slopes of the Monti Pisani, the area of the municipalities of San Giuliano Terme and Vicopisano has a large hydrothermal heritage within an area rich in history, characterized by green natural areas and slopes planted with olive trees.